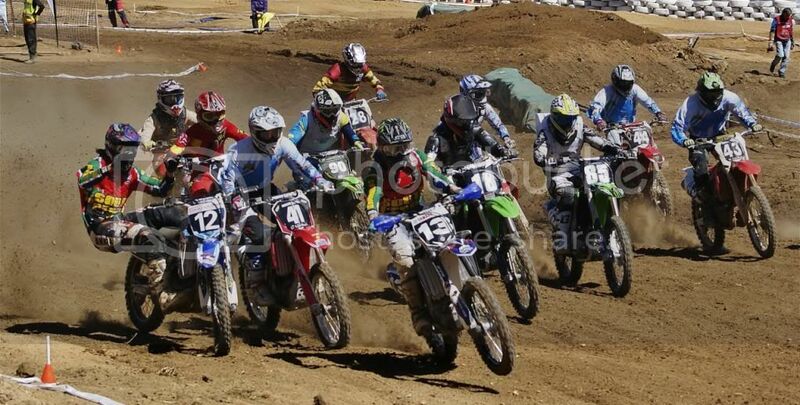 Your pictures of a day at the races...track, enduro, mx...whatever! Anassis Racing...i met Brad & some of his crew. Yes they bought LiquiMoly to try out...on the before and after dyno tests they pulled just over a kilowatt just by changing oils. There a huge truck in the background and fancy shade & stuff all over the place. It's a superbly professional outfit and racing rig. I was wondering about the MOTHS box entrance requirement. How do you prove you were an ex serviceman? 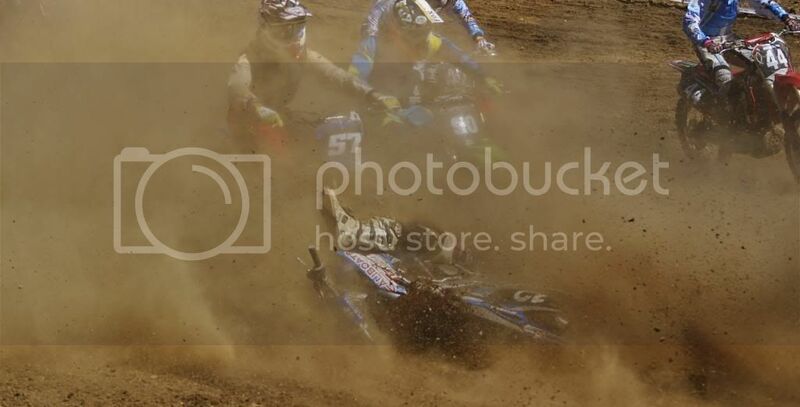 not too sure, but I think he touched bars just off the line and lost control of the bike... I missed the first few seconds of the start.